JF Engineering Products LLP manufacturer & exporter of Olets availbale in various forms and size, products like Sockolet, Weldolet, Elbolet, Latrolet, Threaded Elbolet etc. 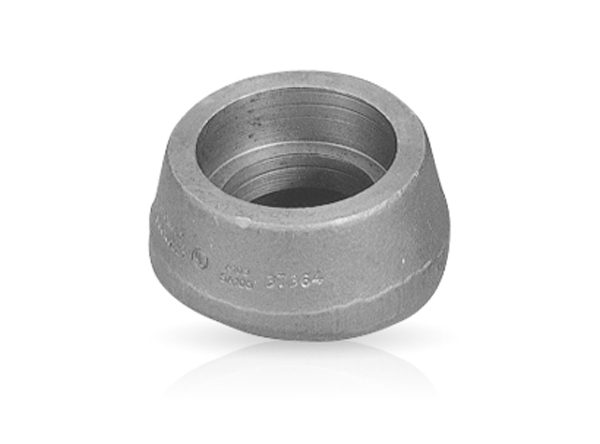 ASTM A105 Olets Pipe Fittings standard covers pressure-temperature ratings, materials, dimensions, tolerances,marking, testing, and methods of designating openings for fittings. In order to fulfill the changing demands of our clients, we are offering a quality range of Outlets. We source these products from reliable vendors of the market. The Stainless Steel Outlets offered by us are widely used in construction industry for various purposes. Our products are highly appreciated in the market for their features like accurate dimensions, high durability and sturdy construction. Moreover, clients can avail these products from us at industry-leading prices. We have specialization to manufacture customized Olets per customers’ specifications, we welcome small quantity order. 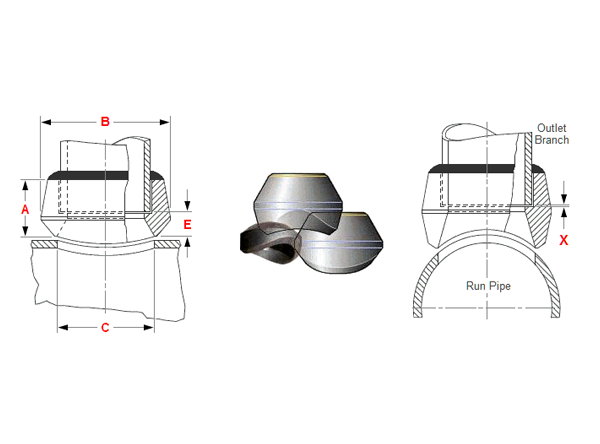 Bottoming Clearance - X - The purpose for the bottoming clearance in a Socket Weld is usually to reduce the residual stress at the root of the weld that could occur during solidification of the weld metal, and to allow for differential expansion of the mating elements. Socket dimensions are in accordance with ASME B16.11. Design per MSS SP-97. Sockolet® is a registered name. Another often used name is Socket Weld Outlet.